The MA5 P METHODTM creates an interactive destination focused on personalized and individualized prescriptive processes. Audiology is so much more than diagnostics and rehabilitation. It is about hearing loss prevention assessment, active listening, adaptive and assistive solutions, and aftercare. 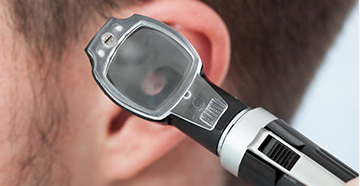 Come by Audiology Associates to see an example of how an audiology practice can change to accommodate new ways of evaluation and helping patients communicate. Since Dr. Marincovich started his practice in 1984, the goal has always been to develop a comprehensive, individualized, prescriptive approach to helping patients communicate more effectively, to help referral sources, to manage patients, and to help businesses support their needs. As part of the concept, the audiology office has been reconfigured from individual offices set up for individual evaluations to more of an interactive destination. Patients are now able to walk in and obtain various services, become engaged in our active listening room, practice lip-reading skills, participate in our of our many educational events, and practice with assistive listening devices and/or listening skills programs. The office has been opened for easy learning and education with a whiteboard surface allowing patient groups to map out their ideas with providers. Interactive computer screens have replaced charts and are easier to utilize. Another aspect of our destination office can be seen in our assessment room. This room allows hands-on participation by patients to help establish their comfortable listening levels for a variety of environmental sounds. We have taken the traditional approach of simply asking the patient how their hearing is and turned instead toward a verification approach, actually measuring the output of the hearing aid, to ensure we are prescribing it according to our assessment values. We validate our fittings with real-world environmental sounds, which helps confirm as well as help with further assessment of patients’ hearing levels. Today, the lab is a place for creative problem solving and teamwork. Our lab team is engaged with patients and they are helping patients learn to communicate more effectively. Learning is taking place through hands-on exploration and applying better-hearing concepts to new challenges. Creating instructional spaces that are more like real-world work environments is another way Audiology Associates is changing the look of their practice. It has always been important to Dr. Marincovich to maintain communication once we have restored a patient’s hearing. Our assistive solutions environment allows patients to evaluate multiple forms of communication to augment their hearing. Our METHOD allows us to master the technological complexities of a wide range of digital audiological devices while also being able to assess the human needs of each individual patient. 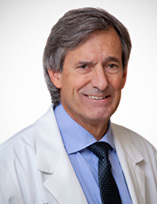 Marincovich - Dr. Marincovich works with patients of all ages and levels of hearing loss. He is also a frequent presenter at seminars and academic conferences. Assessment - Audiology Associates complied the following information to help you and your loved ones understand the importance of hearing care in all of our lives. Active Listening - We are committed to helping you and your loved ones learn effective strategies to help better the communication in your life, and those around you. Adaptive Technology - Hearing aids come in a variety of designs and with a wide range of functions and features to address an individual’s specific needs. ALDs - Serve a variety of functions to help you hear better in multiple lifestyle situations. These devices are meant to be used either with or without hearing aids. Aftercare - We can’t expect our patients to succeed without proper supplements and aftercare. That’s why we’ve developed specific processes for following up with your progress. Prevention - We don’t just care about helping you hear better-we want you to hear as well as you can for a lifetime. This means we are also educators on how to protect the hearing that you have for years to come!